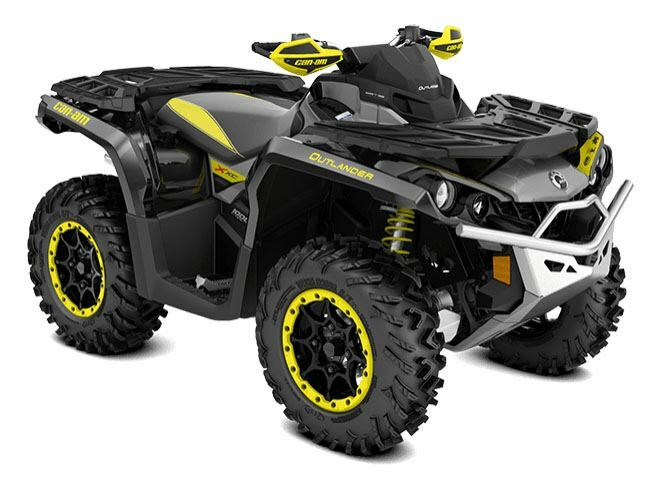 Inspired by a previous Can-Am “heritage model,” the 2018 Outlander X xc 1000R ATV makes a triumphant return, but with vastly more performance and thrilling features. ROTAX V-TWIN ENGINE OPTIONS: Available with the 89 hp Rotax 1000R liquid-cooled V-Twin engine, with four valves per cylinder and single overhead camshafts, the signature Can-Am engine lineup offers unmatched power for a true performance edge. FOX† PERFORMANCE SERIES 1.5 PODIUM† RC2 SHOCKS: These high-performance front and rear FOX† PERFORMANCE SERIES 1.5 PODIUM† RC2 shocks give riders the flexibility to fit all terrain and all riding styles, with easy dual-speed compression, rebound and preload adjustments. NEW 14 IN. (35.6 CM) ALUMINUM BEADLOCK WHEELS WITH 26 IN. (66 CM) ITP TIRES: A mechanical fastening device makes it nearly impossible for the tire bead to break loose during heavy acceleration or cornering. The 26 in. 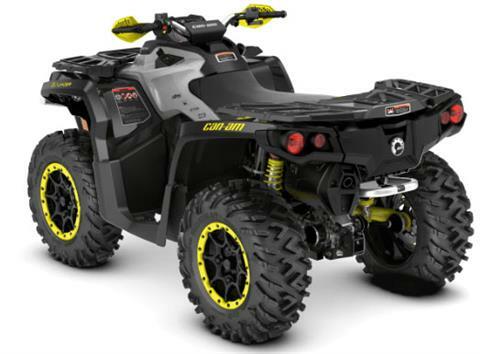 (66 cm), 6-ply ITP Terracross tires feature a tread pattern that is aggressive enough to tackle tough terrain, yet provide a smooth ride. ALUMINUM TAPER-PROFILE HANDLEBAR WITH WIND DEFLECTORS AND SQUARE PAD: Comes with wind deflectors and square pad for a sport look and protection from brush and cold.